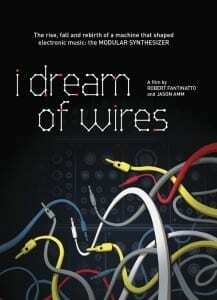 Out in October is a reissue of the 2014 DVD “I Dream Of Wires”, a documentary about the rise, fall and rebirth of a machine that shaped electronic music: the modular synthesizer. For this documentary over 100 inventors, musicians and enthusiasts were interviewed about their relationship with the modular synthesizer. Electronic pioneers like Gary Numan and Daniel Miller discuss the modular synthesizer’s 1970s heyday, through to its near-extinction in the 1980s, while musicians including Trent Reznor (Nine Inch Nails) and Vince Clarke (Erasure) talk about their ongoing passion for the modular synthesizer, and how it influences their music. “I Dream Of Wires” also explores the early development of modular synthesizers in the 1960s, from pioneering companies Moog and Buchla. Below is a trailer for the DVD, you can order this splendid documentary right here. Highly recommended! 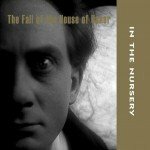 In addition also the “I Dream Of Wires” soundtrack sees a reissue, containing a full addition CD of bonus tracks and remixes. This is Solvent aka Jason Amm’s sixth full-length LP and also marks the return of Solvent to his own Suction Records label, his first album for the label since 1999. You can order the 2CD right here.